Hello! I’m Fion and I’m a stay-at-home-mom to my cute little boy, Kaden. I started this blog when he was 2 years and 7 months old. I’ve never thought that I would become the one who would teach my son to read before he turned 3. Who, me? Teaching my child to read? I didn’t feel qualified. I’ve always believed that it’s the job of his future kindergarten or primary school teachers to teach him reading. But this belief was soon shattered, in a good way, when I embarked on the rewarding and fun journey of learning to teach my son reading with a simple, effective and step-by-step reading program. 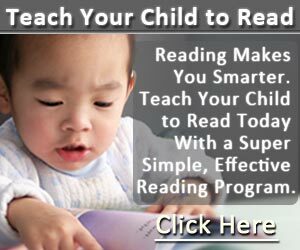 The reason I created this website is to help parents like you teach your toddler or child to read at home with the right tools and program. To do so, I am going to share with you my personal journey of learning to teach my own toddler son to read and what I have discovered to work not just for him, but for us both. After I gave birth to Kaden, I was given a complimentary diaper bag containing many free information leaflets and magazines. While flipping through one of these magazines, I came across an advertisement promoting this baby reading program. It’s the first time I encountered such an advert and I was captivated! Can babies learn to read? I wondered. I shelved the idea for future use. After all, my baby was just a newborn. That idea could wait. After the initial crazy months of learning to cope with a new baby, I tried to regain some balance and incorporate some routine into our lives. 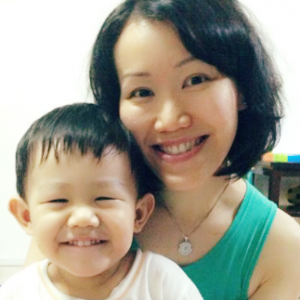 As my baby grew and developed, I started to look into activities for his relevant growth stage. Then I remember the baby reading program I saw 6 months ago. I dug out the advertisement and went online to search for more information. I bought the program believing it would teach my baby to read. It’s an award-wining program that claims to use the two most effective methods – flash method and the multi-sensory method to teach reading. I paid just short of $170 after some discounts for 12 months of pre-made lessons. It’s rather expensive but I told myself that it would be worth it. I mean it sounded so easy, I just had to sit my baby in front of my laptop, press “Play” for each lesson to be shown to him everyday, twice a day, for five times a week. We even had the weekends off. Each lesson was only about 3-5 minutes. It seemed so doable! When Kaden was about 9 months old, I started him on the lessons. I looked forward to the day he would recognize words, read words and I would feel so proud that my baby can read! After 4 months of lessons, I stopped Kaden’s lessons. Somehow, I felt that maybe he was too young and he showed no sign of word recognition after several months of lessons. Every morning and afternoon, 5 days a week, I would routinely sit him in front of my laptop and show him the lesson for the day. He would stare at the computer screen, but when the phonics segment came on, my son’s eyes would wander. I told myself, maybe it’s better to start him all over again on this program when he’s slightly older. Well, other fun activities and developmental milestones unfolded, I never did start him on the program again. So Kaden never learned to read as a baby. When he was about 17 months old, I came across another reading program where the author claims that he and his wife taught their kids to read before they turned 3. I read through the information provided and I must say, there’s lots of information to get through as the author really took the time and efforts to walk us through the details of his reading program. Since I already had a brief experience with one reading program, I could find myself with agreeing with some of the findings and points he made. And this program was so different from the previous one I bought. Not only in terms of pricing, but more importantly I don’t have to sit my baby in front of the laptop or TV! I love this aspect. Not only that, the author recommends that we teach our kids when they are about 2.5 years old, as that is when they are able to speak more clearly. Phew, I didn’t have to be in a hurry to teach Kaden! I could continue to let him play with other age-appropriate toys and activities. Yay! When he was about 2 years and 3 months old , I noticed that Kaden’s intellectual abilities developed rapidly. He was speaking some words then. That was when I felt it was time to start him on his reading lessons. There are Stage 1 and Stage 2 of lessons. Stage 1 could be completed within 3 months if I was regular and consistent with the lessons. But sometimes I delayed, and sometimes I took a break… We took 4.5 months to complete Stage 1. For Stage 2, we took about 4 months. By the time we finished, Kaden just turned 3 years old. What is amazing is that despite my inconsistency and occasional breaks throughout the 9 months of lessons, my son was learning to read! And I have to say he was reading quite well. It was so cute to see him read! First from single words then to couplet words then to very short sentences and then mini stories, he was reading. He wasn’t memorizing words but he was decoding words to read them. I had fun teaching him, he had fun learning, and we both learned together. Well, my brother-in-law was casually showing my 5-year-old and 8-year-old nieces and Kaden some simple words. He was caught by surprise when my son could read them. They were stunned as they totally didn’t expect my toddler to be reading. I’m glad you found my website and I welcome you to take your time to explore the articles here. If you believe in early childhood reading, I hope you can take away something useful to use in teaching your toddler or preschooler to read. My name is David. I am a parent of 2 girls, 5 and 7. I came across your website by chance when I was researching for children reading program. My youngest is 5 and she just started her 2nd year of kindergarten. In terms of reading, she is not as good as her older sister. For example, she couldn’t read simple phonics like ‘at’ or ‘as’. I understand each child is different and I am worried her reading skills will get worse as she progresses in elementary school without any help or just relying on her teachers. I have heard of Children Learning Reading program. Would you recommend this as a starting point to help her with reading? I really appreciate your advice or input. With your youngest daughter being 5 now, I think it’s a great time to help her improve on her reading skills. I started teaching my son when he was a toddler and now he is 7, the same age as your older girl. I taught him to read using the Children Learning Reading program and these few years, I could see that he has developed strong reading skills. Beginning of this year, I bought him a set of Roald Dahl storybooks which I intended to keep for his future reading. But he wanted to browse through those books and in the end, he finished reading the set of books on his own in a relatively short span of time. So I would think the Children Learning Reading program would be a good program to help with your girl’s reading.